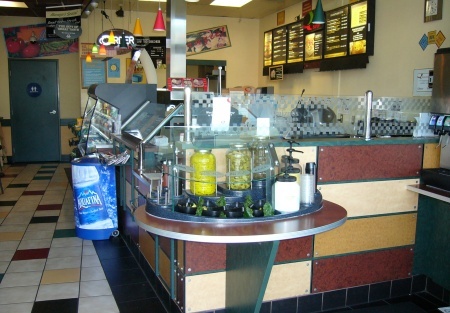 Price Just reduced for this Franchise Sub Shop to convert into your special business. This is being sold as a non-franchised restaurant. This is a great turn-key restaurant for a buyer looking for a fully operational and stocked restaurant for conversion. $32,000 (Firm Price) includes All the equipment, furniture and fixtures which are valued over $50,000. A restaurant with this much equipment and furniture usually costs $200,000+ to open a new location. Literally two blocks from the ocean this restaurant is situated in a prime location for year round traffic and especially the summer rush. During the summer this Beach City is host to thousands of beach goers throughout the Southland which brings a steady flow of customers. The lease is unbelievable with fixed rent until 2011. This is a great opportunity for a seasoned restauratuer or a new restaurant owner. Take the next step and complete the online confidentiality agreement and call us to obtain the restaurant name and address. Also you will be given priority notification to new listings in the future, prior to the general public, giving you the best chance to �scoop in� the best opportunities. There are also more photos available to our registered buyers. This is a Business Intermediaries, Inc. listing.